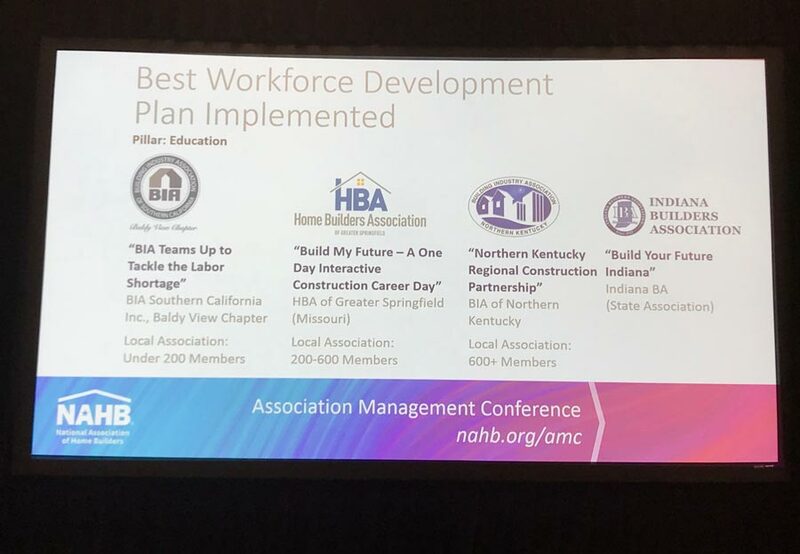 All the buzz was about Workforce Development at the recent NAHB Association Management Conference in Long Beach, California. Seminars included "Industry + Students + Engagement = Employment," "NAHB Workforce Development Listening Session," "Building our Future Workforce One HBA at a Time" and "Labor Training and The Impact on Your Member Businesses." Although there were many other breakout sessions, Workforce Development was by far the most common topic of discussion and your HBA mentioned frequently. "Many of the sessions were useful and Workforce Development was definitely the topic of discussion by many" says Aaron Wahlquist, Communications Director of HBAGS. He goes on to say, "it was pretty cool to know that everyone is working together on workforce development and that our HBA (HBA of Greater Springfield) was being awarded for the work Charlyce Ruth and our HBA did for the Build My Future Event. Not only that, but many HBAs are planning their own event based on the Build My Future model." 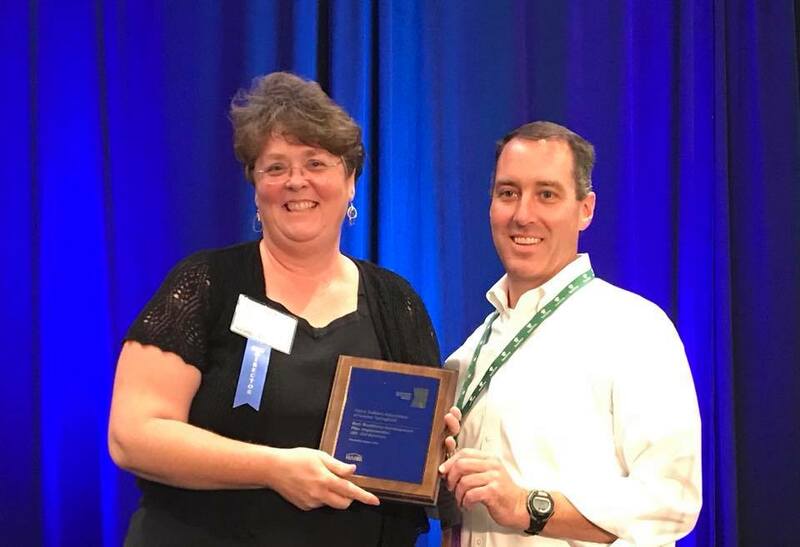 Your HBA of Greater Springfield received the award for "Best Workforce Development Plan Implemented" by a local association 200-600 Members. This is just one of many reason you should be proud to be an HBA Member.